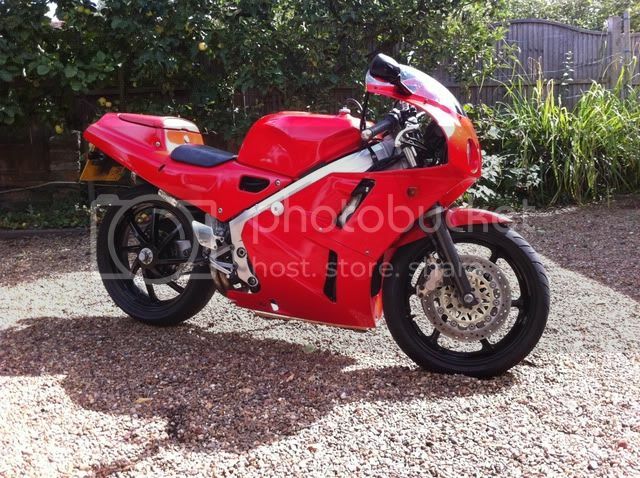 Not a hugely special bike, but its my new VFR400 nc30, and would explain why I have been a bit slack on my other project VFR (My VFR400 nc30 build thread). 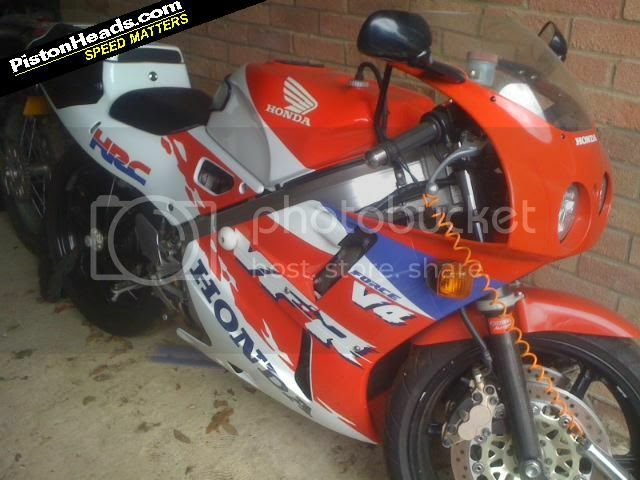 This bike has been taking my time and money for the moment. 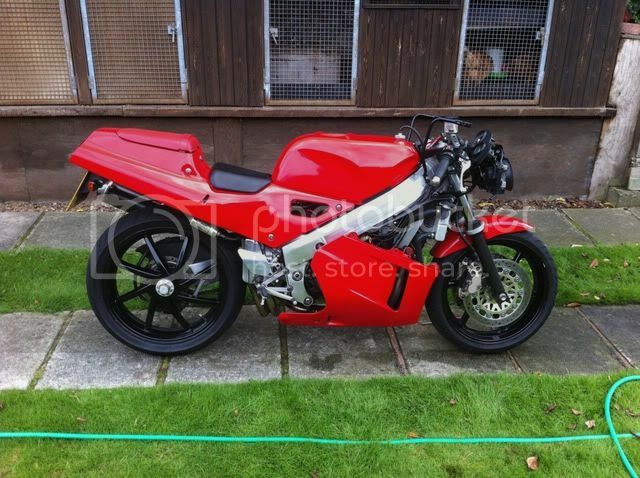 I bought the bike as the body work is in really good condition, and has a full SS exhaust system as well as a Renthal chain and sprocket kit. Although she was a bit dirty. 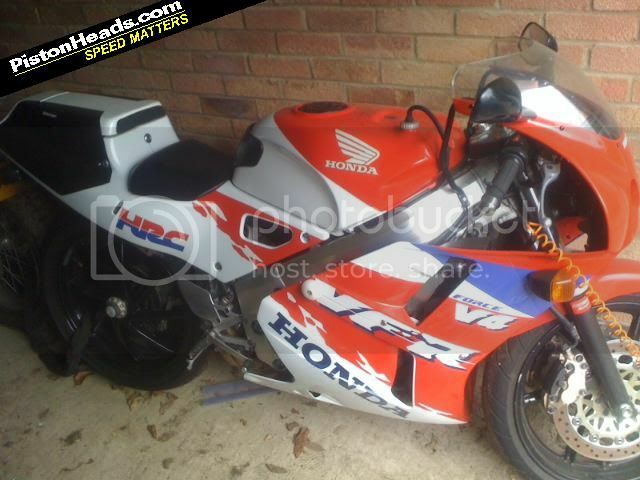 My first plan was to strip the fairing off and use it as a road legal track bike. 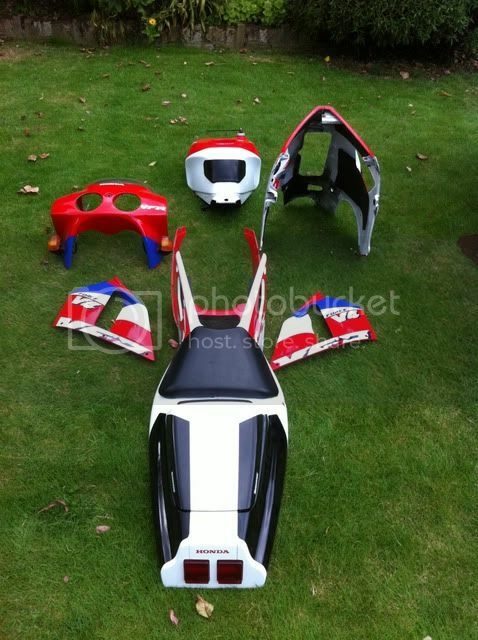 It all went on well as a track fairing could but I was far from happy with the result. 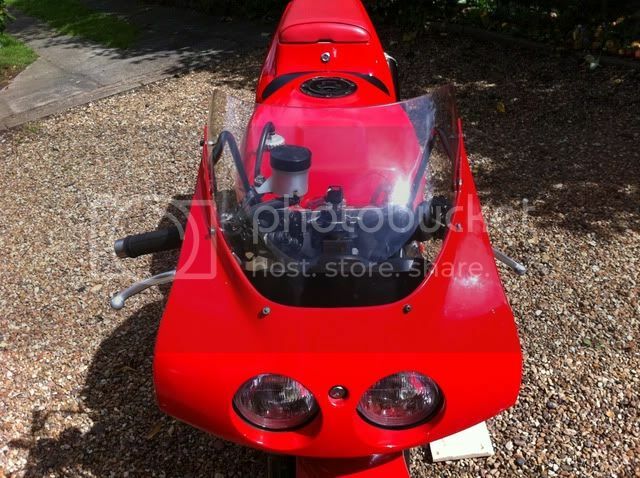 So I decided to put my old original red fairing from my other project vfr. 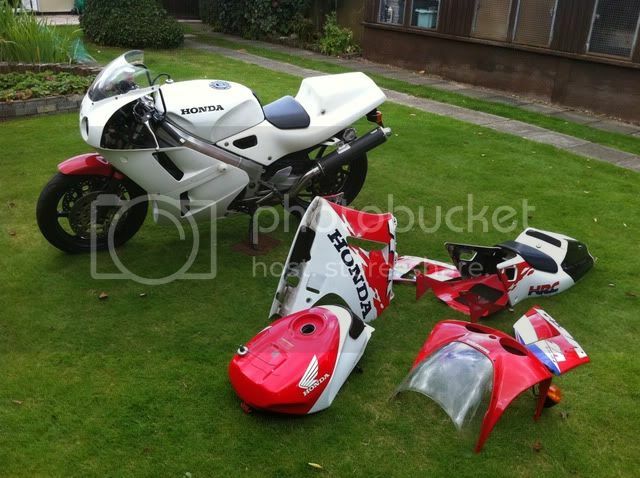 As well as giving her a good clean, lube and check over. What I found hiding under all the grime. Did my usual trick to VFR's and place some black vinyl to the screen to cover the bit behind the clocks. Now done and a quick coat of speed wax. 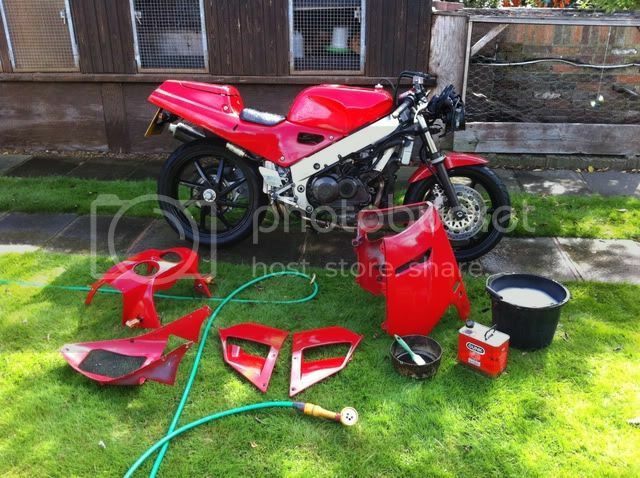 It has a red rear seat on until I paint the single seat cover and I replaced the faded red anodised brake fluid resovoir with an original black one. 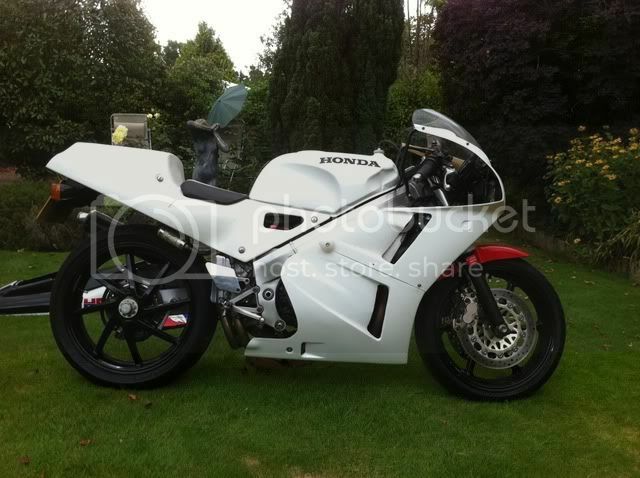 Next in line is to get a graphics kit from Brooky made up to make her look like this. 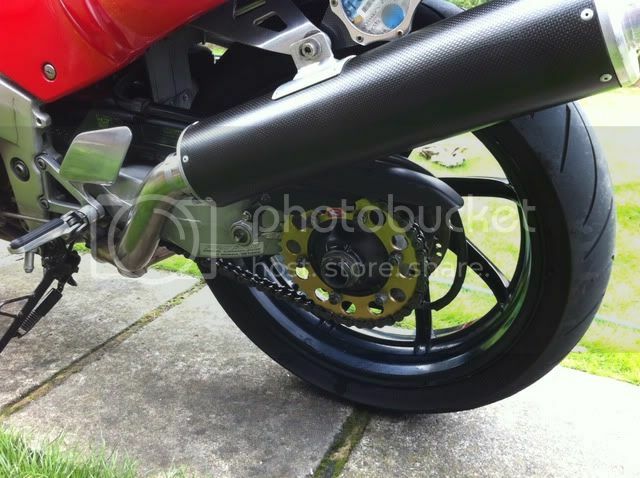 That said when the rear tyre needs changing, which isn't far off, think I will do the them gold. No idea what shade of gold though? I love the level of geek on this forum . 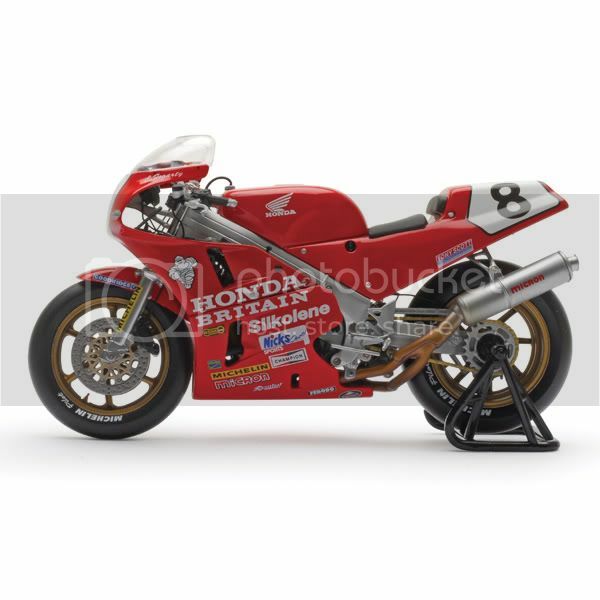 I'm assuming that 'YR502P - golden glow pearl' is a honda paint code? Oi! I should've copyrighted that saying. Timon wrote: I love the level of geek on this forum . I think that is a Honda car code. I believe it was quite a popular colo(u)r (sic) on US market models. Why did you edit your post to white?